In 2010, Shannon Whitehead and her partner Kristin Glenn co-founded (R)evolution apparel, a sustainable clothing company for female travelers and lovers of multifunctional dressing. Their signature piece, the Versalette, went viral in 2011 when they launched a Kickstarter campaign that became the highest-funded fashion project of that time. While Whitehead’s mission altered a bit post (R)evolution apparel, amicably parting ways with Glenn a few years ago (Glenn is still successfully running a similar business called Seamly), Whitehead has found a newfound raison d’etre: creating a new online business accelerator called Factory45. With personal connections spanning across the sustainable fashion industry, as well as first-hand experience in sourcing, production, branding, marketing and media outreach, Whitehead recently sounded the call for designers, offering strategy consulting to startup and established apparel companies that want to stand out in the sustainable fashion movement. Ecouterre caught up with Whitehead recently to ask her about her new business and some of the biggest challenges a startup business faces in 2014. 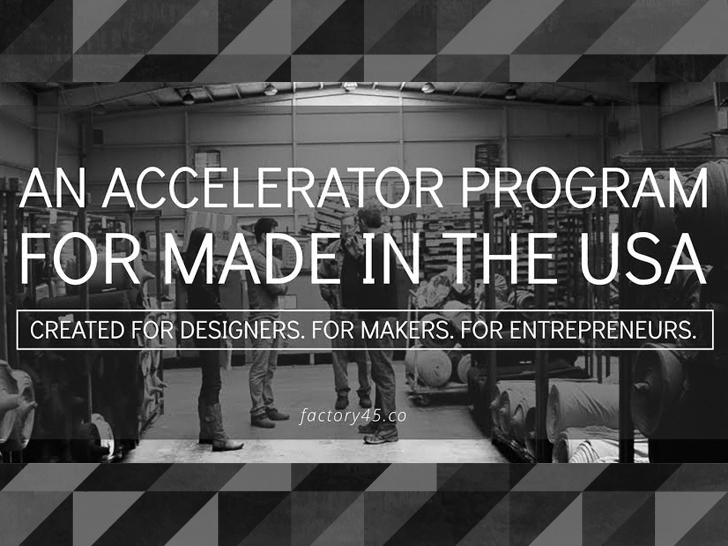 How is Factory45 different from other fashion accelerators? 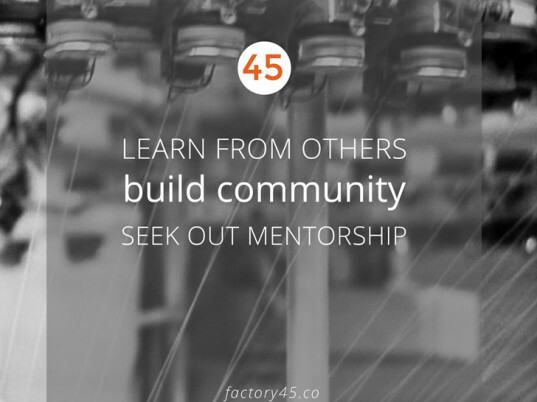 Factory45 is first and foremost, a business accelerator for fashion startups. 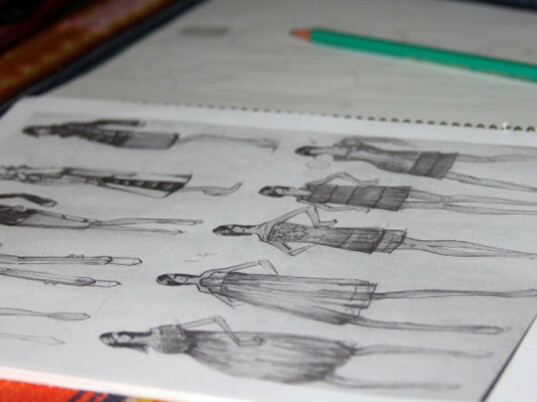 While other fashion accelerators focus on the design, sample-and-pattern-making, sketching, grading, sewing, etc., Factory45 has an entirely different business-centered approach. We create small U.S.-based supply chains, get prototypes out into the market, test the response, gather feedback, use crowdfunding as a marketing tool, and go into production with money in the bank. It’s the fast track for niche products and designer entrepreneurs who don’t want to go into debt. What do you think are the biggest mistakes that new entrepreneurs make? When you’re first starting a business you can find yourself overwhelmed with options. You have so many things to do, so many different directions you can take, and a lot of people giving you advice. I think new entrepreneurs often get bogged down by the details and don’t take the action needed to move the business forward. Instead of creating 10 different color themes, 15 different font combinations and six different website layouts, focus on tasks that matter and don’t worry so much about everything being perfect. It’s far more important to get your product out into the world, test the market response, listen to customer feedback, and adjust your product offering to better fit the needs of your target market. You can’t be afraid to make mistakes, learn and improve. As cliché as it sounds, it’s the only way to truly create the best product possible. What are you most excited about for Factory45? I think I’m most excited, though, for the community that will develop during the program. There is obviously power in numbers, and I think each participant is going to be such a pivotal part of the experience. Factory45 will be a new community of entrepreneurs experiencing similar challenges and supporting each other for six months and beyond. That is going to be such an invaluable resource for each of them. Why is it worth investing in an accelerator program? I believe in “lean” entrepreneurship, but I also believe in investing money into the right resources. Having gone through the process of co-founding my own sustainable apparel brand, I’ve experienced the difficulty of setting up a transparent and ethical U.S. supply chain. It took us a year and a half and $10,000 to simply get to a point where we were ready to launch a Kickstarter campaign. The truth is, anyone can start a business on their own. But if the option of saving money and time by learning from the experiences of others is available, then I’d tell anyone to take advantage of it. Factory45 is the program I would have wanted when I was first starting out in this industry, so of course I think it’s worth the investment. I think mentorship and community are simply invaluable. How have you as an entrepreneur learned from your failures and wins? I’ve learned to keep going. A few years ago it was so much easier to get caught up in the “failures.” Anything and everything that slightly resembled a failure seemed like the end of the world. Since then, I’ve realized the difference between micro-failures and macro-failures. A micro-failure is waking up late, feeling completely unmotivated, and then proceeding to dilly-dally around on Facebook all day without crossing one thing off the “to-do” list. A macro-failure is investing a few hundred dollars into a sample only for the sewer to botch the entire design and give you something completely different than what you asked for. I’ve been through all sorts of these “failures,” and I can tell you that neither type is more catastrophic than the other. Failure is temporary and passes as soon as the next success comes along. With that said, I’m learning to focus more on my successes. I’m learning to savor the feelings of accomplishment and appreciate the good moments. If we can’t enjoy the “wins,” then why are we doing any of this? In 2010, Shannon Whitehead and her partner Kristin Glenn co-founded (R)evolution apparel, a sustainable clothing company for female travelers and lovers of multifunctional dressing. Their signature piece, the Versalette, went viral in 2011 when they launched a Kickstarter campaign that became the highest-funded fashion project of that time. While Whitehead's mission altered a bit post (R)evolution apparel, amicably parting ways with Glenn a few years ago (Glenn is still successfully running a similar business called Seamly), Whitehead has found a newfound raison d'etre: creating a new online business accelerator called Factory45.